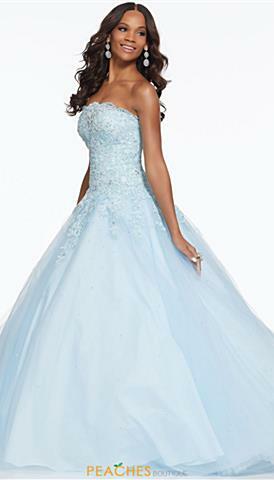 The Morilee Collection is a highly revered dress line created by internationally recognized designer, Madeline Gardner. Whether you are looking for bold hues or intricate embroidery, the Morilee collection offers something truly exquisite for every girl. If you are looking for a semi-formal event, the Morilee Sticks and Stones collection offers a wide variety of fun and flirty short dresses. These Morilee homecoming dresses work for many occasions, from dances to a damas dress to the perfect cocktail party dress! 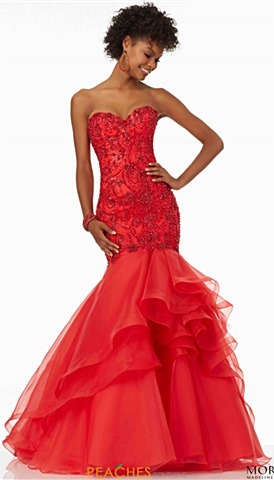 If you are looking for a more formal occasion, the Morilee ball gowns will make you feel like a modern day princess in their dazzling embellished designs, or perhaps shop the collection's mermaid dresses, which are sure to flatter your natural curves. No matter the dress style that you've got your heart set upon, Morilee has you covered for your 2019 prom vision!